New updated golf rules for senior golfers! Certainly, I can think of a few golfers that would find these rules adjustments fun for playing golf. Clearly, if a ball sliced or hooked into the rough shall be lifted and placed on the fairway at a point equal to the distance it carried or rolled into the rough with no penalty. The senior should not be penalised for tall grass which ground keepers failed to mow. Notably, a ball hitting a tree shall be deemed not to have hit the tree. This is simply bad luck and luck has no place in a scientific game. The senior player must estimate the distance the ball would have travelled if it had not hit the tree and play the ball from there. Without question, there shall be no such thing as a lost ball. 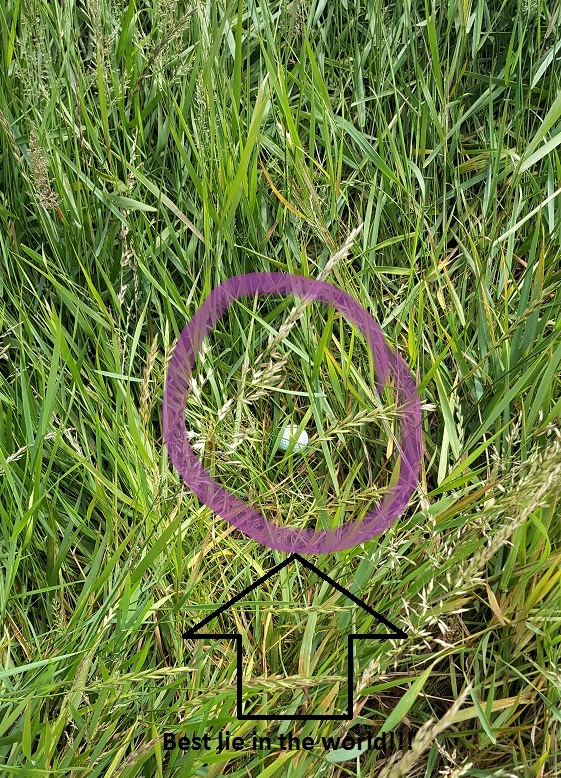 The missing ball is on or near the course and will eventually be found and pocketed by someone else, making it a stolen ball. The player is not to compound the felony by charging himself or herself with a penalty. Certainly, if a putt passes over a hole without dropping, it is deemed to have dropped. The law of gravity supersedes the Rules of Golf. Furthermore, putts that stop close enough to the cup that they could be blown in, may be blown in. This does not apply to balls more than three inches from the hole. No one wants to make a travesty of the game. Additionally, there is no penalty for so-called “out of bounds.” If penny-pinching golf course owners bought sufficient land, this would not occur. The senior golfer deserves an apology, not a penalty. Clearly, there is no penalty for a ball in a water hazard, as golf balls should float. Senior golfers should not be penalised for manufacturers’ shortcomings. Finally, advertisements claiming that golf scores can be improved by purchasing new golf equipment. Since this is financially impractical for many senior golfers, one-half stroke per hole may be subtracted for using old equipment.